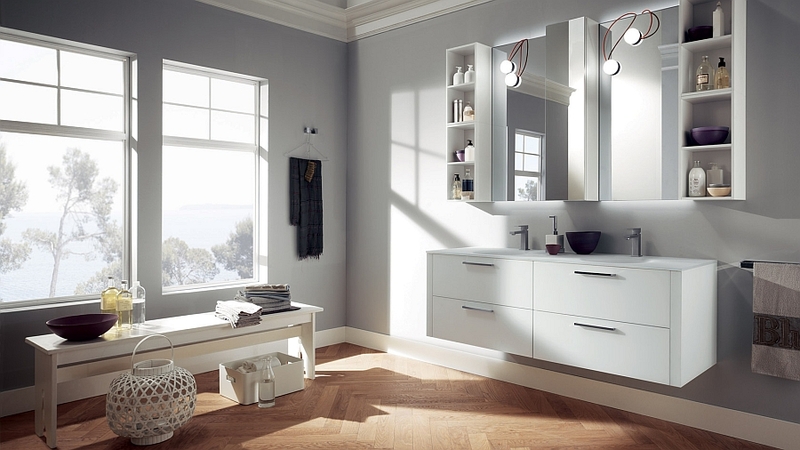 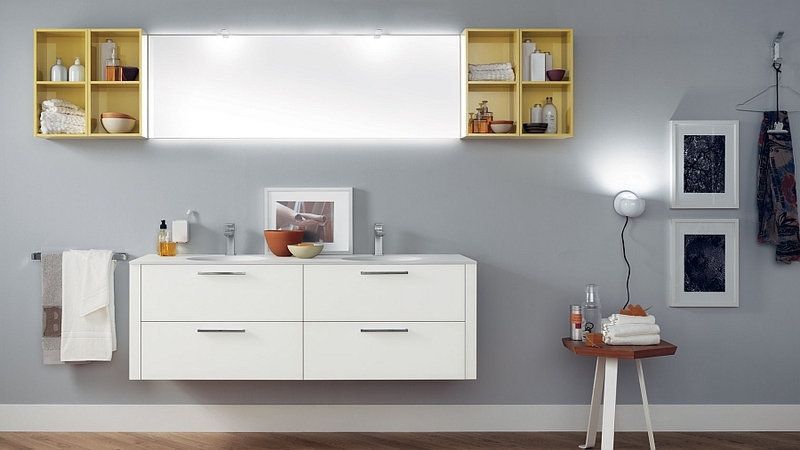 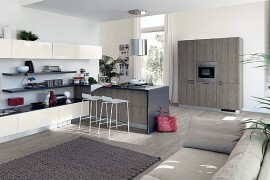 Combining the spectacular with the delicate and the nuanced, the latest bathroom from Scavolini, dubbed Font, steals the show with its amazing versatility and style. 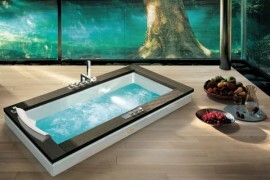 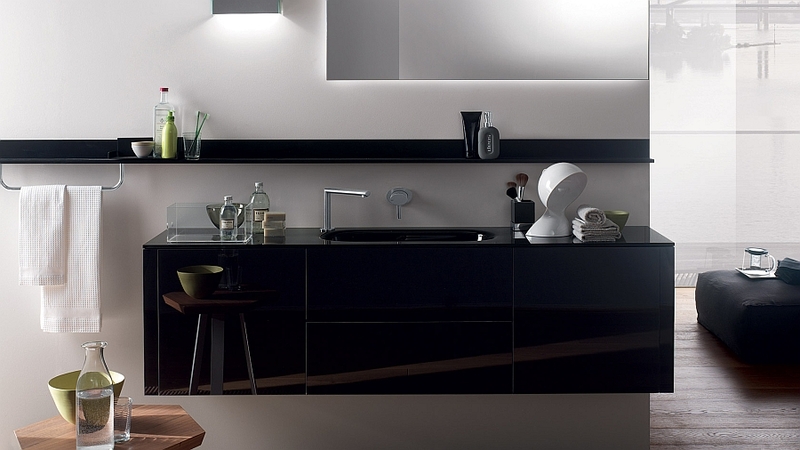 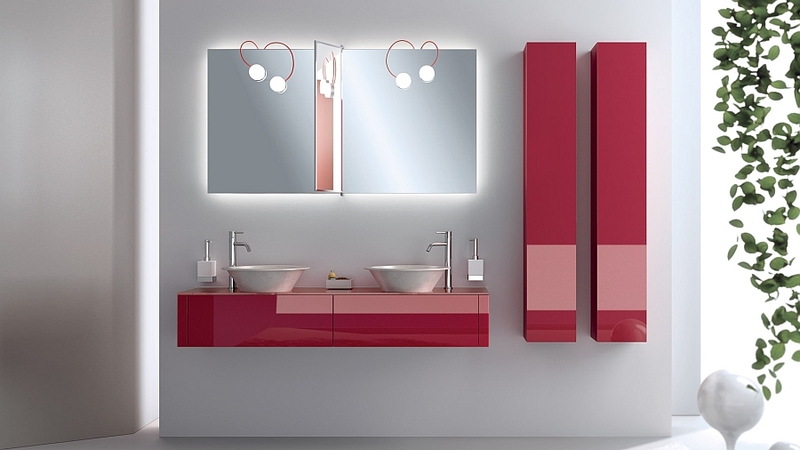 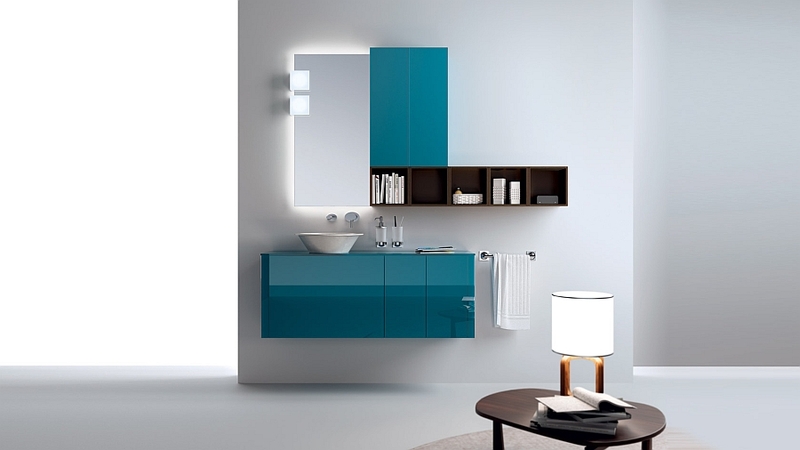 Crafted by Studio Castiglia Associati, Font moves away from the more common materials used in the modern bathroom and utilizes glass in both matte and glossy finishes to truly paint a picture filled with color and creativity. 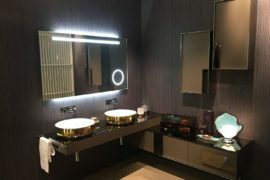 Digging into the ‘seductive power of glass’, the many compositions of this trendy bathroom evoke a sense of luxury, tranquility and chic sophistication. 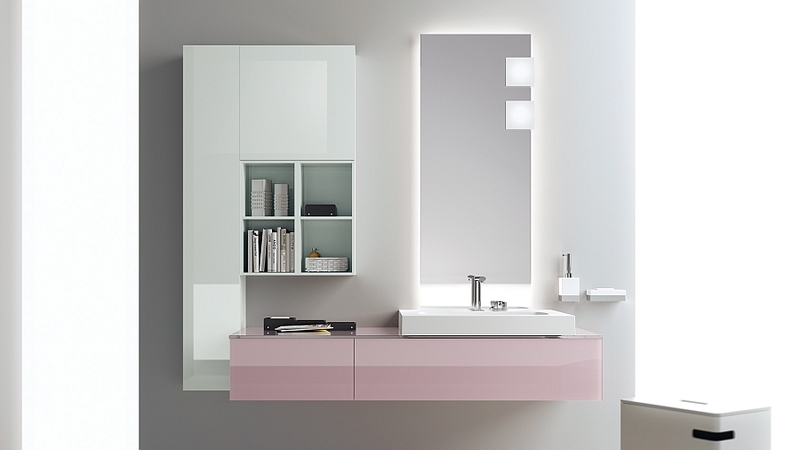 Smart doors and side covers in glass make up the crux of the Font collection of bathrooms, and these ‘glassy’ additions beautifully combine aesthetics with functionality to deliver original and creative color solutions. 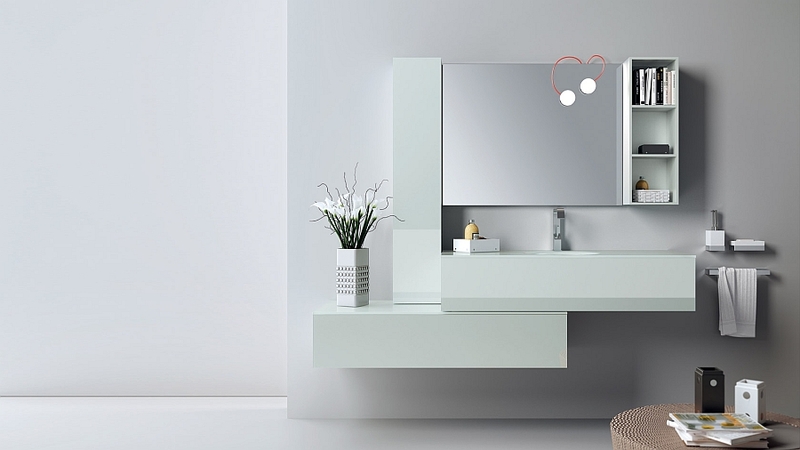 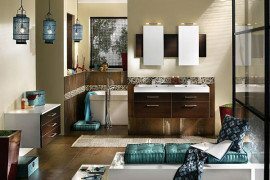 With many contemporary bathrooms opting for a neutral color scheme, the sensational floating vanities and playful accent additions that Font offers transform the bath into a refined yet exciting space. 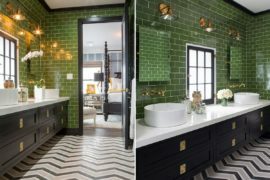 Driving away any sense of monotony and reinventing the minimalist trend in bathroom design, the stylish finishes of Font vary from the imperious slate black to the absolute white and everything in between! 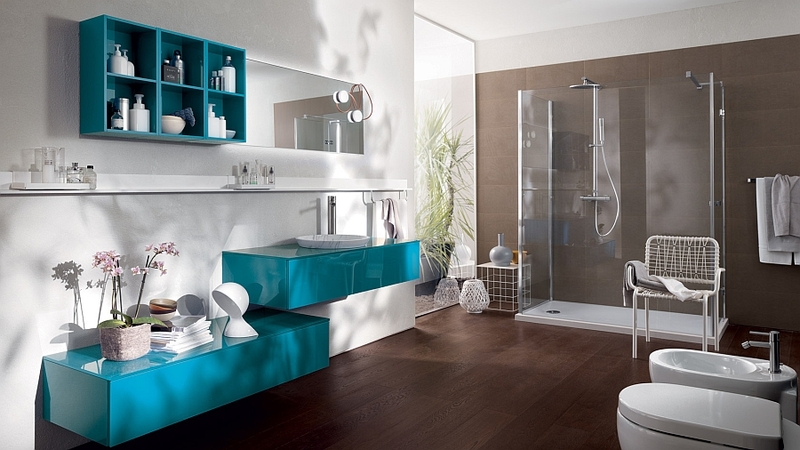 Other gorgeous hues readily available in the Font bathroom include sunny yellow, sensational turquoise, pretty pink and soothing blue. 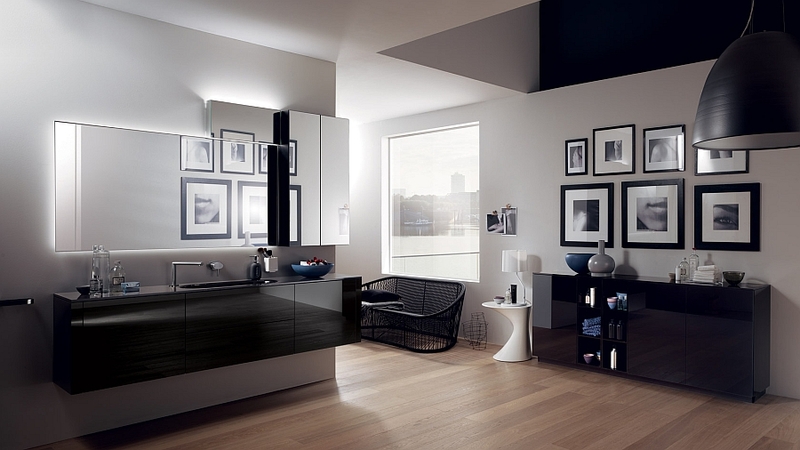 Obviously, each of these urbane bathrooms is crafted to suit the specific needs of your own home, and you can choose from an endless array of vanities, accessories and bath fittings from Scavolini in thousands of shades to create your perfect dream bathroom!